Until early 1872, Sedgwick County included the towns of Newton and Sedgwick. Because Newton had both the railroad and Texas cattle business, a fierce rivalry developed between Wichita and Newton. 1871 was a pivotal year when, in October, talk surfaced about the formation of a new county. Both Wichita and Newton favored the plan of a new county since it rid each town of its rival. Added into the mix was tension between Wichita and Park City as well as competition between the towns of Sedgwick and Newton. 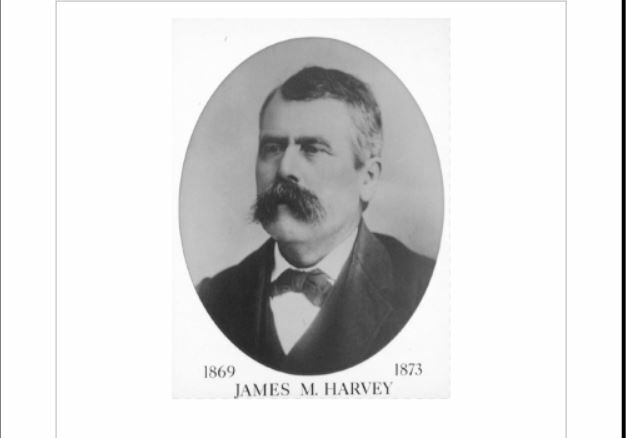 Named in honor of James M. Harvey, Governor of Kansas (1869 – 1873), Harvey County was organized by an Act of the Kansas legislature on February 29, 1872; and was completed in 1873 with an annexation from Marion County.